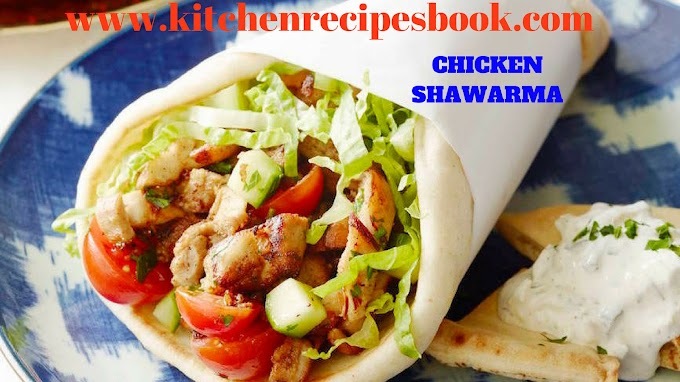 Chicken Tikka Recipe: Hi Foodies, here we come back with a new recipe in our Kitchen Recipes Book i.e, Chicken Tikka Recipe in Microwave Oven. 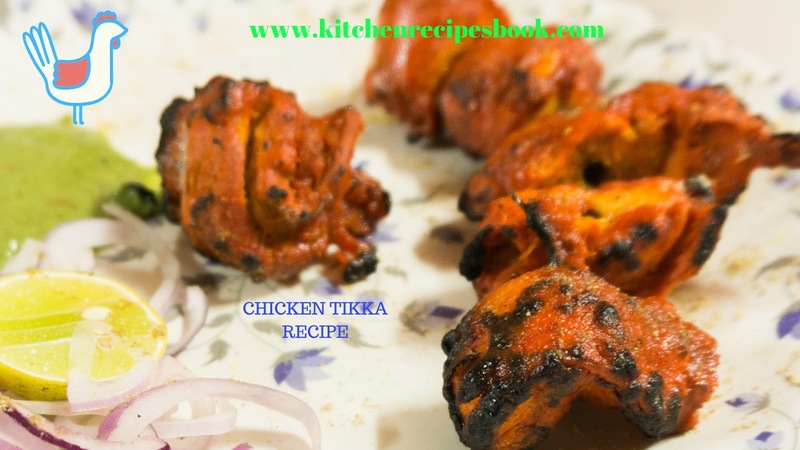 Chicken tikka is one of the most popular and well-known chicken starter/appetizer from Indian cuisine and it is popular all over the world. The exact meaning of tikka is a cube or a piece. 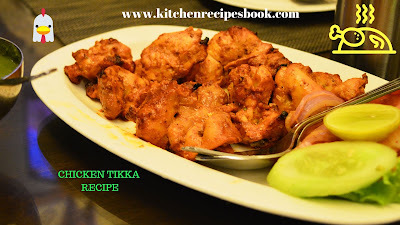 So that a cube of chicken that is marinated in yogurt mixture called as chicken tikka. 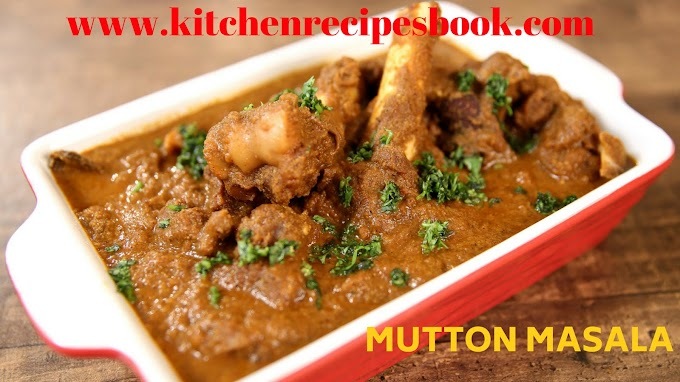 This recipe tastes wonderful and awesome smell in the aroma. 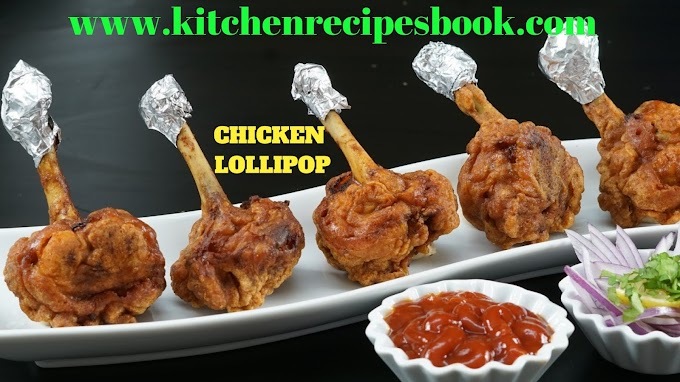 If the chicken is soaked for few hours then it tastes and tenderizes very naturally. 500 grams of chicken boneless(cubed). 1-1/2 tsp of chickpea flour. 1/2 red bell pepper or tomatoes. 3/4 -1 tsp of paprika, Kashmiri and red chili powder. 1/4 tsp of biryani masala powder. 1-2 tsp of lemon juice. 1/2 tsp of kasuri methi powder. First, Choose the best chicken with cube sized shapes. To make the best chicken tikka, we need yogurt. if you use regular yogurt then add little amount of cheese then drain off for several hours in the refrigerator. Wash the chicken with fresh water and remove moisture using disposable tissues. 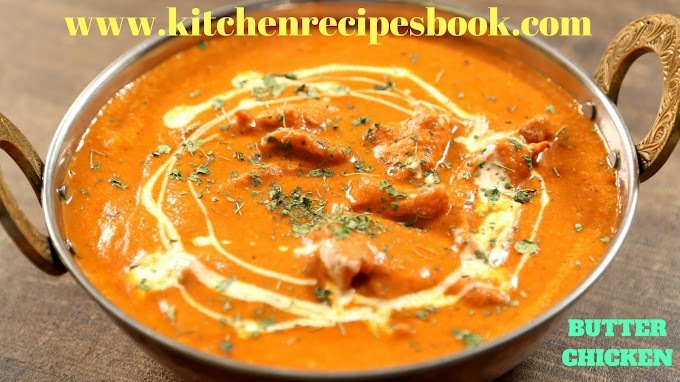 Mix all the ingredients (marination of chicken tikka) with yogurt, gram flour, lemon juice. Marinate the chicken at least 1 hour, because it tastes best. Soak the wooden skewers for at least 30 minutes in water. For the grill, cube the veggies and marinate put them on skewers altering veggies and chicken. Preheat the oven to 240C for at least 15 minutes. Bake it for 30 minutes or till fully done. Finally, hot chicken tikka is ready to serve. If you use garam masala pungent is very strong. Meat tenderizer is needed, make recipe tasty. 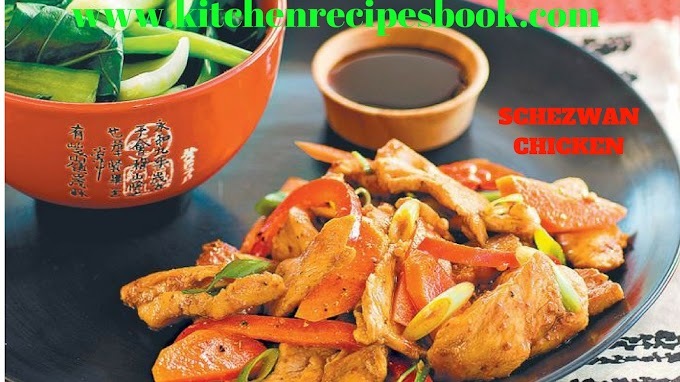 For more recipes, then stay updated with us. 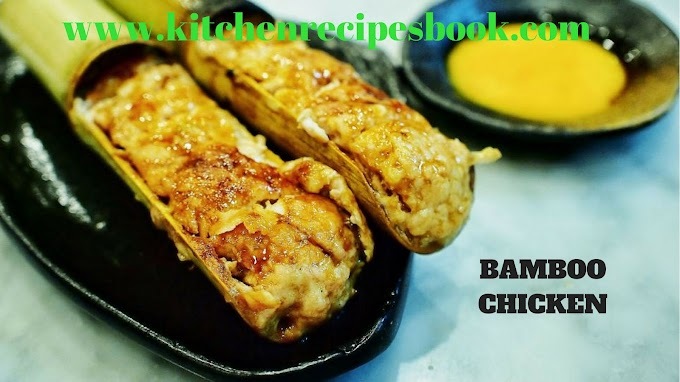 Don't forget to bookmark my website for more new recipes. Health is wealth so, make sure took only homemade food. The above-mentioned recipe is Homemade Chicken Tikka Recipe. 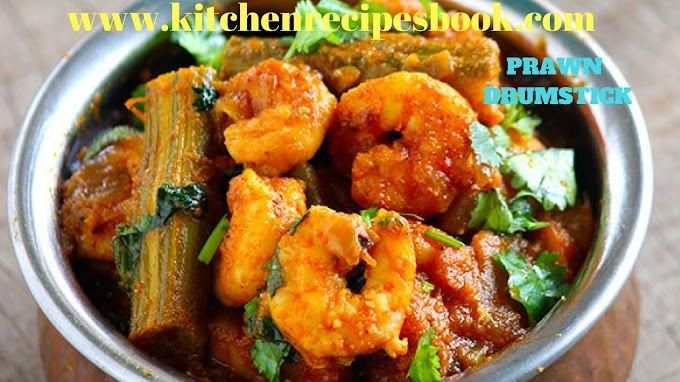 If you like our recipes then share with your friends and as well as foodies. 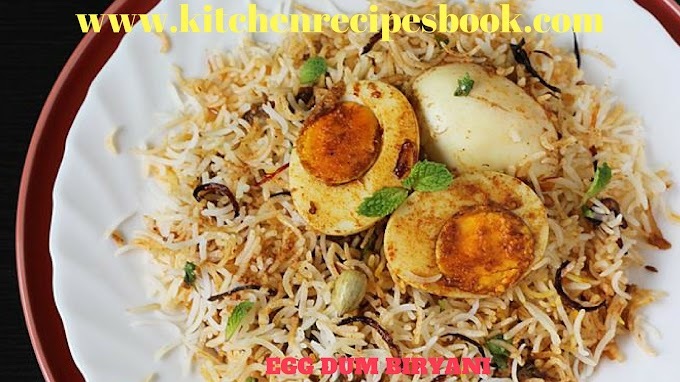 If you have any other recipes then share with us via the comment section. If you want any other recipes just ping us. For more foodie updates stay connect with us.